International Beer Day is celebrated every first Friday in August every year around the world. International Beer Day was founded in 2007 in Santa Cruz, California and since then has become an international day celebrated in many cities around the world to gather friends and enjoy the beer, celebrate with the brewers and unite the world under the flag of the beer at a united nations celebration. 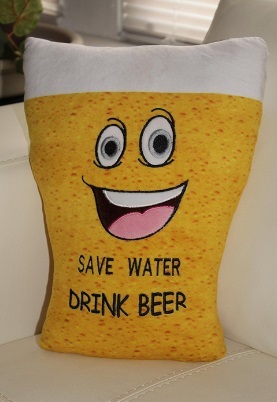 People celebrate beer day by buying beer and for their friends and for themselves. International Beer Day began as a celebration at the local bar of the festival's founders, and was expanded to a worldwide event. The celebrations are held throughout the United States, as well as in Armenia, Australia, Austria, Belgium, Brazil, Canada, Colombia, Costa Rica, El Salvador, England, France, Greece, Honduras, Hong Kong, Hungary, India, Ireland, Israel, Italy, Japan Latvia, Lebanon, Lithuania, Macedonia, Malaysia, Mexico, New Zealand, Nicaragua, Norway, Peru, Poland, Portugal, Puerto Rico, Romania, Scotland, Singapore, Slovakia, Slovenia, South Africa, Spain, Sri Lanka, Sweden, Thailand , The Philippines, Turkey, Uganda, United Arab Emirates, Uruguay, Vanuatu and Venezuela. In 1814, a huge wave of beer swept through London, where 1,470,000!!! Liters of beer flooded Tottenham Court in the city. The flood was caused by an explosion at the Meux and Company Brewery. Two houses and a wall in the Tavistock Arms pub were destroyed in the beer wave, in which one of the young women was caught. Because the brewery operated in a poor area of London, the homes of many families who lived in cellars were flooded with beer and eight people drowned to death. The brewery was closed down and destroyed in 1922. The Dominion Theater is in its place these days. The light spoils the beer. George Washington had a brewery on his land in Mount Vernon. Builders of the pyramids in Egypt were paid for their work in beer: one gallon (4 liters) a day. The oldest beer recipe found is 4,000 years ago and belongs to the Sumers. Beer and marijuana are cousins; the beer hops are in the same family of flowers as the marijuana plants. In the Middle Ages beer was consumed more than water. At any given time, 0.7% of the world's people are intoxicated. That means 50 million people are drunk now. The longest hangover in the world lasted 4 weeks after Scotty consumed 60 pounds of beer. 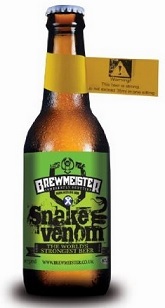 In the world's most strong beer there is 67.5% of alcohol: Snake Venom of Brewmeister. Amsterdam pays alcoholics to clean the streets in beer: 5 cans of beer a day, plus 10 euros and tobacco.